‘We want our parts delivered in 1-2 days, maximum, if you can’t do that then we are not going to buy parts from you” a car bodyshop owner told me yesterday. I hope that this is not the normal working patterns for the UK vehicle repair sector, but if it is then there are problems. He went on to say that the data from their vehicle estimating system isn’t imported into their bodyshop management system until the vehicle has been stripped out, hence the need for parts to be delivered in 1-2 days because any longer and the repairs on the vehicle will pause due to lack of parts. My questions here are; how does this repairer plan their work? are they working from day-to-day without knowing what they will be working on tomorrow because they haven't planned it yet? This is a scary scenario because it doesn't allow them to plan ahead, give accurate completion dates, maximise efficiencies, put the right technician on the right job, plan their courtesy car programme, get the best discounts from their suppliers and more. Is this the norm for the UK body repair industry? I hope not. I would like to think that the industry is smarter than this, that they are able to plan their work schedules, order parts with the best discounts and margins, and process repairs through their shops with the minimum of delays, at the highest quality and get the jobs finished on time. In the same conversation the bodyshop owner also stated that some parts are too expensive “I can get a brand new part with no damage for near enough the same price as your green recycled parts”. This is a valid opinion because some UK vehicle recyclers haven't done the maths on customer service. Bear with me, because there is a serious business case here. If a brand new part has a retail price of £100 the repairer could expect up to 25% discount from the local dealer giving them a margin of £25. The figures above are a real life example, and this is not even a near miss - in this case it was cheaper to purchase a brand new part that gives a bigger margin to the repairer and comes with a full guarantee. This case fails to give any margin to cover extra costs that may be incurred such as additional damage to the green recycled part that needs to be rectified by the repairer before fitment, or a mark up from a parts search company that facilitated the sale of the part. 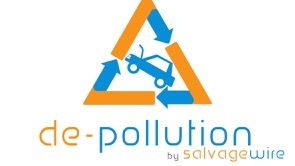 The greater the retail value of the brand new part the greater the opportunity for significant cost savings through the use of a genuine green recycled part, and if the part doesn’t need a full colour change (panel of the same colour, a lamp or a trim etc.) then the additional labour can be removed from the calculation and increase the savings. 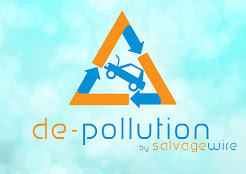 UK vehicle recyclers need to do the simple maths on their parts and delivery pricing so they can show real savings to accident damage work providers and vehicle repairers; prove the case for green recycled parts becoming normal practice for the UK vehicle repair industry and then have the ability to delight and amaze their customers. *as an example fitting a red painted wing to a white vehicle will result in additional labour to change the colour of 0.5 hours. 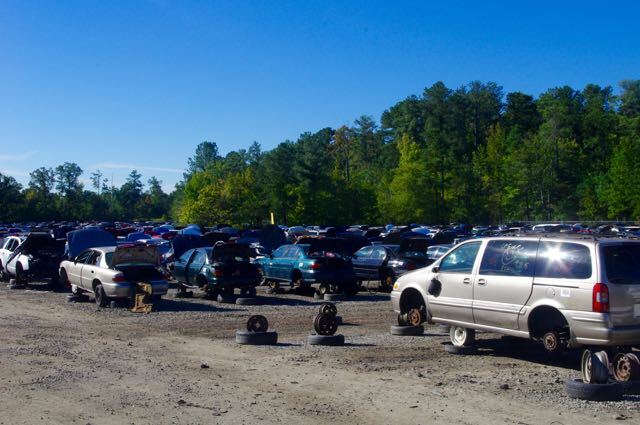 Return on investment can be calculated in many different ways, however there is some investment that can be considered priceless, and this could certainly be the case for the eleven UK and Ireland auto recyclers who visited the ARA Convention in Charlotte during October. 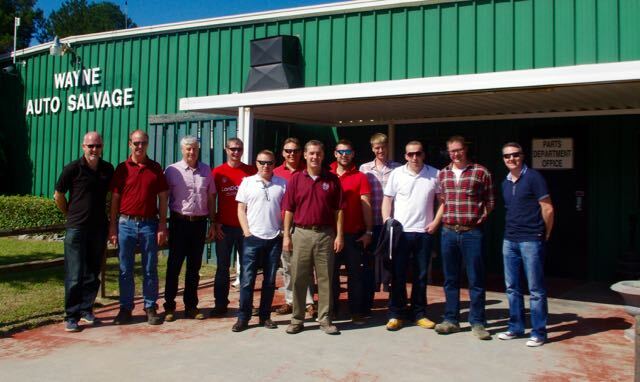 Together the group of yard owners, managers and staff along with developers of yard management software invested over $22,000 to visit recycler yards across Virginia and North Carolina, hear from the best trainers and teachers at the Annual Convention and network with the global recycling family; one of the group said that his yard “was going to be very different in nine months time as a direct result of what I have learnt this week”. 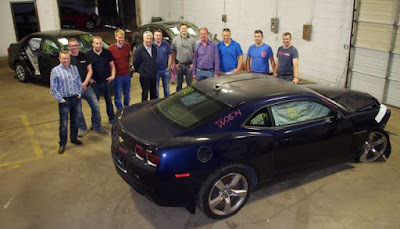 Our trip started in Washington DC where some of the group were able to sightsee the capital city; the following day we travelled to M & M Auto Parts in Stafford and Fredericksburg meeting the owners and staff as we toured both their facilities. This first visit set the tone for the rest of the week’s travels; a very warm welcome awaited us all along with an openness that few expected. 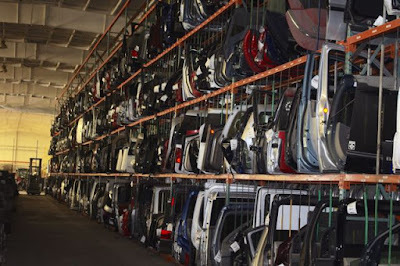 Since 1960 M&M Auto Parts has been a proud family owned and operated recycler and now has over 50 acres and 205,000 square feet of warehouse space. With the majority of their business being wholesale, they are a full service recycler that dismantle and store parts at both locations and the group were privileged to be given tours of both of these, very different, facilities - one being a sprawling yard with lots of space, the other a large warehouse with limited outdoor storage. The quality of both sites reflected the owners standards and highlighted to the group how important customer service is to the US auto recycling industry. Following an overnight stop in Richmond which served as the capital of the Confederate States of America during the American Civil War we travelled to Chesterfield Auto Parts. Chesterfield Auto Parts was formed in the 1930’s and purchased in 1947 by the family who, after three generations, continue to own and run the business. Chesterfield Auto Parts is a self-service operation and felt very different to the previous visit, with much quicker vehicle turnover, much more customer interaction and an operating style that felt similar to how the majority of UK and Irish yards operate. Again a full tour was given, lots of questions asked and answered with plenty of information to digest at a later time. Lacy Auto Parts provided yet another perspective on the best that the US has to offer, a business that started in 1940, is now run by the grandson’s of the founder, and recently moved to a large site near Charles City in Virginia. 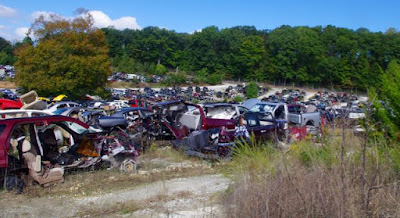 We were all amazed by the expanse of the site, the landscaping out front and that from the road it did not look like an auto recycling facility at all. This state-of-the-art facility continues the legacy started back in 1940, Lacy Auto Parts are developing new strategies, raising quality and utilising new computerised methods to continue their development and provide the highest quality service for all types of used vehicle parts. A quick switch of states found the group at an overnight stop in Goldsboro, North Carolina and a visit to Wayne Auto Salvage. Founded in August 1970 Wayne Auto Salvage are now located on a 25 acre site and they combine a full service and self service yard into one operation with a dismantling and crushing facility separating the two sides of the yard. Again, a full tour was given to the group where we were able to see vehicles entering, going through and exiting their process. Like all they yards we visited, very efficient, clean, tidy and well run. Each evening of the trip the whole group could be found in a restaurant going over each days’ events, the yards visited and what had been learnt. 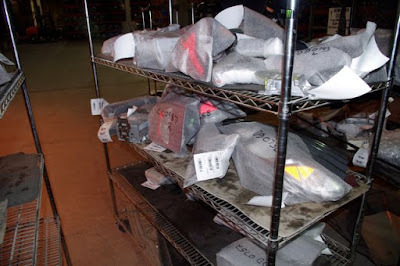 Two of the major ‘take aways’ that our group had were Cores and Warranties. All of the businesses visited in the US were much more advanced in how they dealt with vehicle cores, especially adding core charges to the sale of used parts, and the up-sell of extended warranties. Neither of these are a strong focus for UK recyclers currently. We were also very impressed by the facilities available in the full service yards for packaging and despatching of the parts. This reflects the very high standards that all yards have for customer experience, making certain that the parts arrive on-time, with no additional damage, and in a manner that gives customers confidence to return to that recycler for future purchases. The US has a lot to teach the UK here. We were also very aware that our yard management software is more advanced on the integration with E-Bay when selling parts, so I am sure that we can return a favour or two. 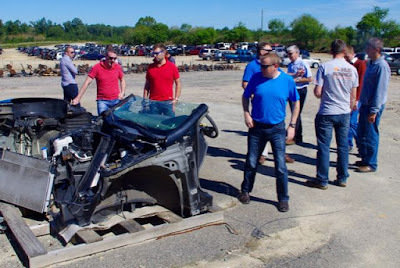 However, this was just the beginning as we reached Charlotte and joined up with the rest of the global auto recycling community gathered for the annual convention. As a group we would like to thank our hosts at M&M Auto Parts, Chesterfield Auto Parts, Lacy Auto Parts and Wayne Auto Salvage for their hospitality, kindness and openness to share during our visit, and offer an invitation to them all to come and visit our businesses the next time they are in the UK, and I would like to finish with one final quote from another member of the group. “Visiting the yards along the way to Charlotte and the conference itself has given me a wealth of knowledge and ideas on how to take my business and yard forward, both in selling quality recycled parts and offering a better customer experience along with improving my workplace environmentally and for the good of my employees and customers.” I call that Job Done!